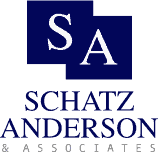 Criminal charges range in seriousness and potential penalties. Read below for an explanation of the reasons. Not all crimes are equal. From the petty thief who picks up a necklace at a department store, to the criminal who plans and commits a murder, there are a range of crimes that differ in type and severity. Classifying these crimes can help the judge and jury understand the seriousness of what took place and thus hopefully result in a fitting consequence. The U.S. constitution outlaws the use of “cruel and unusual punishment.” It would certainly be unusual punishment to sentence someone who forged a $20 check to 10 years in prison. Thus it clearly follows that the punishment should be based on the severity of the crime. Classifying crimes into categories of type and seriousness can facilitate this process. Distinguishing between violent and nonviolent crimes also helps to indicate what kind of threat the offender poses to society. Prison terms are based on the severity of the crime as well as on the need to protect the innocent. Someone who kidnaps children, for example, would qualify for a longer prison term based on how serious kidnapping is and what could happen to other children if the kidnapper is released prematurely. White collar criminals are a financial threat to the people and businesses they would take advantage of and fraudulently obtain money from. Often, these criminals are caught after embezzling tens or even hundreds of thousands of dollars. These individuals may not be violent, but they pose a considerable threat to society nonetheless. Classifying crimes helps prevent excessive punishment as well as inadequate punishment. Within classifications, for each state, there is usually a range of prison time and a maximum amount of fines to aid the judge in selecting an appropriate sentence. The two goals for the sentencing are to punish the offender and protect the innocent. It may not be a perfect system, but each judge does his or her best to make the punishment fit the crime.